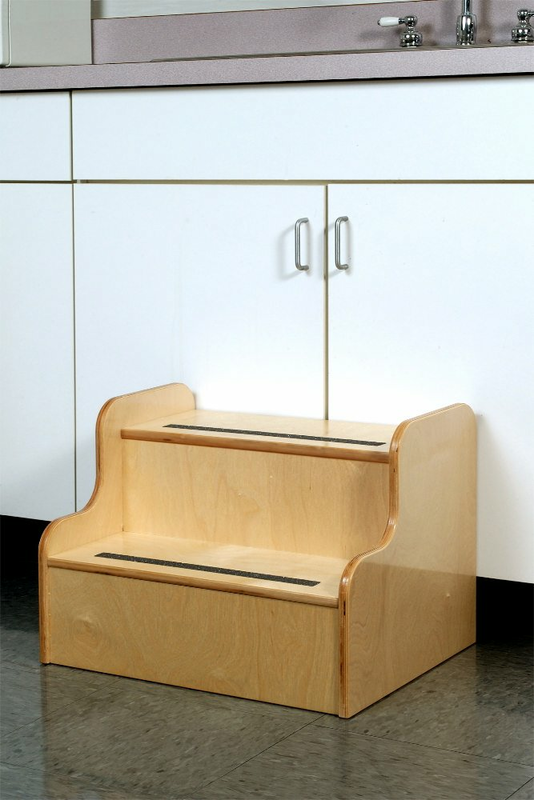 This step stool is designed for children who are more sure-footed, yet not tall enough to reach intended targets. The stool is built from our sturdy birch plywood and features two non-skid treads on each step. Smooth rounded corners and solid construction add up to a step stool that provides a very safe climbing experience for a young child. Ships fully assembled by UPS or Fed Ex Ground. GreenGuard Certified. Made in USA. Lifetime Warranty. Dimensions: 19in. × 16in. × 15in. Also available in a tall stairs model.